MEDIUM: Oil on gallery wrapped canvas. This portrait is of a Japanese bride, Hanayome, wearing a simple, floral kimono and a delicate flower-motif hair ornament, kanzashi, made of silk plum blossoms. The plum blossom holds a special place in Japanese traditions: it represents spring, a time of new beginnings, and is associated with beauty, purity, hope and the transitoriness of life. 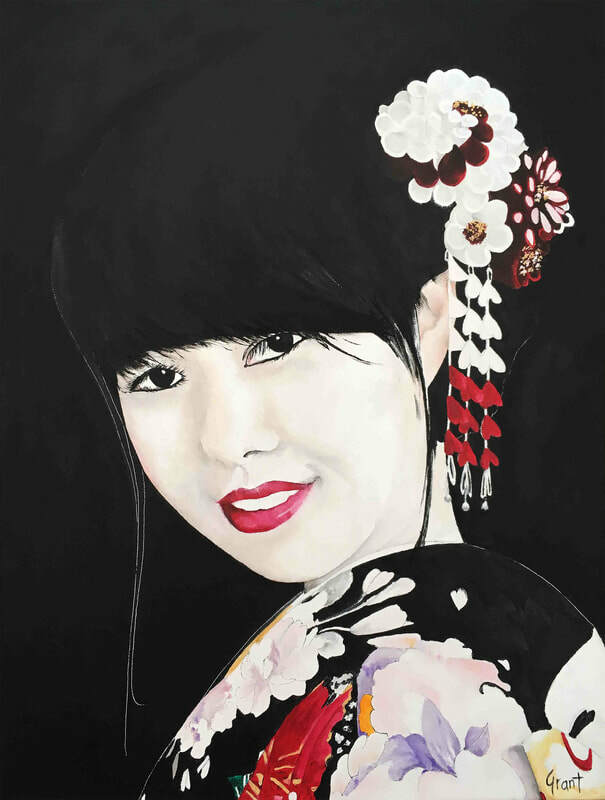 Thank you for your interest in buying the painting "Plum Blossom - Japanese Bride." As soon as I receive this request, I will contact you to confirm order details and total amount of purchase.